The highly anticipated Marvel’s Spider-Man from Insomniac Games is almost here. With that said, did you know that there is a special edition console to celebrate the launch of the game? 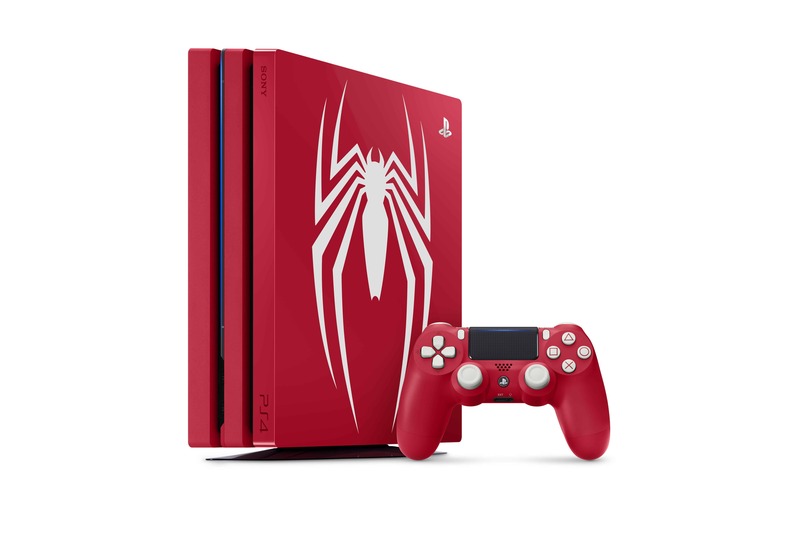 In addition to the recently released 500 Million Limited Edition PlayStation 4 Pro console, Sony have created a Marvel’s Spider-Man Limited Edition PS4! 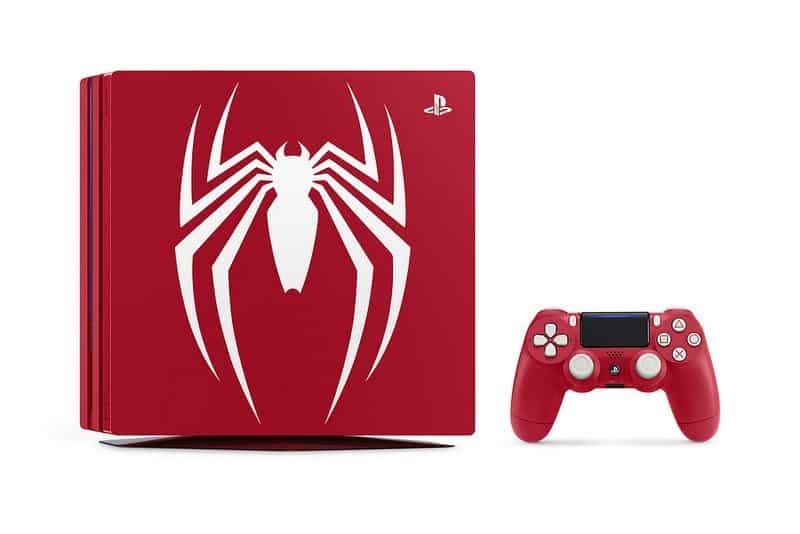 The limited edition console is available in both PS4 and PS4 Pro variants, and has been made with Spider-Man fans in mind. 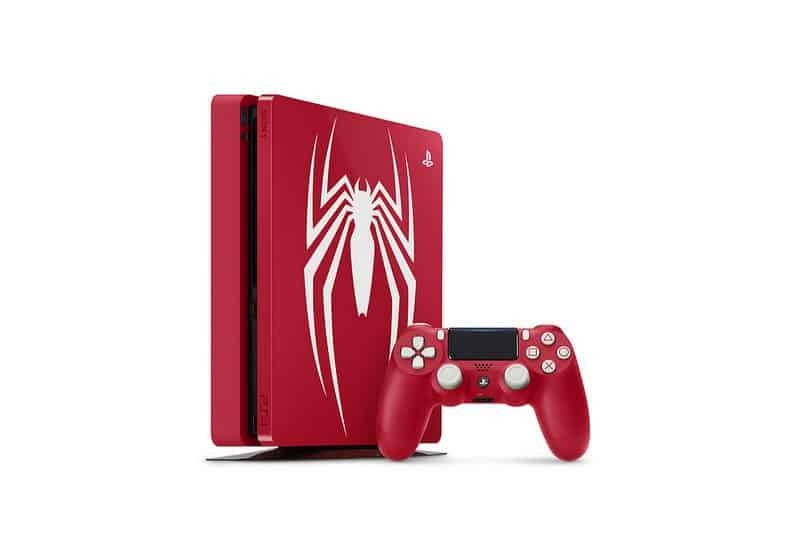 Irrespective of which console you choose, both are emblazoned with a unique Spider-Man sigil (made especially for this game) set upon a deliciously warm “amazing red”, feature matching DualShock controllers, and include a copy of Marvel’s Spider-Man (the game) as well as a digital code for The City That Never Sleeps downloadable content. No matter which console you have (or decide to buy), the game is going to look great! For starters, PS4 Pro gamers who play on 4K televisions will be able to experience Marvel’s Spider-Man in 2160p dynamic 4K resolution – meaning access to more intricate details of the architecture of Marvel’s New York and detailed Marvel characters. For people who do not yet have a 4K television, fear not because the game has built-in supersampling with increased image clarity and detail. Meanwhile, if your TV supports high-dynamic range (HDR), you will experience even greater variations in special effects and colours! 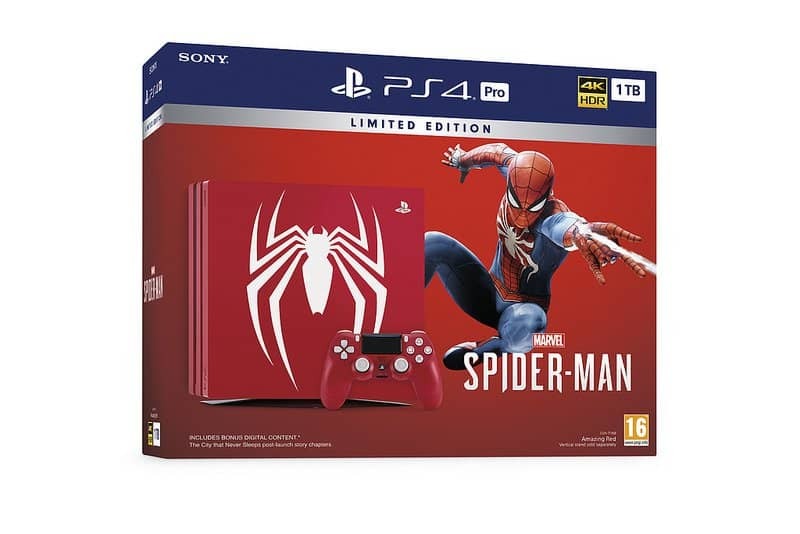 The Marvel’s Spider-Man Limited Edition PS4 bundles were announced in July and are available from all major retailers (Raru | Makro | Loot | Takealot). The PS4 version of the bundle has a suggested retail price of R6299, whereas the PS4 Pro variant has a suggested retail price of R7999. Given that the consoles do not come with any additional extras, I must say that they are priced fairly higher than normal. Although the 500 Million Limited Edition PlayStation 4 Pro was R500 more than the Marvel’s Spider-Man Limited Edition PS4 Pro, it also came with the PlayStation Camera, a Horizontal stand and a 2 TB hard drive. Nevertheless, if you are a big fan of Spider-Man then these console bundles will surely cause your senses to tingle!